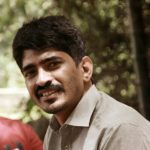 Sivaprasad is a strong promoter and contributor of open source technology and tools. He strongly believes that open source is the way to go about for a country like India. Through Mango Education, he wishes to promote open source education and provide affordable quality education for all.